Android N is out there on the horizon, and we still don’t know the name yet! 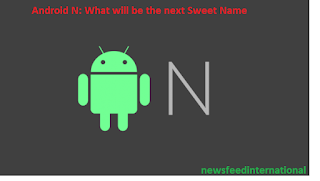 Since the release of the first 2 android versions which is not so “sweet” back in 2007, Google has changed the way they name each upcoming Android version. Specifically by naming an Android version with a “sweet” name. From Cupcake up to today’s Android N, N sure will have one sweet name it deserves. 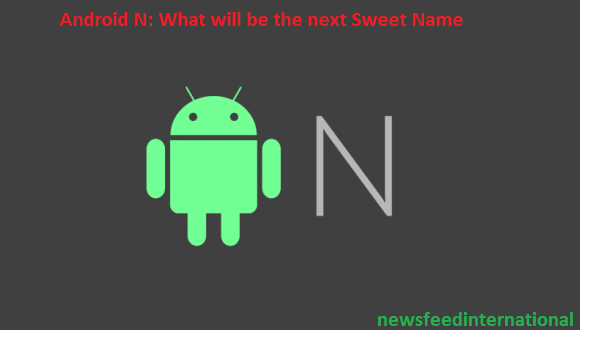 So what will be Android N’s name? Google has announced that they are yet to reveal the Android N name. The good thing about it is that Google themselves will not be the one naming the next Android version. Well, that is a smart move, Google has let users submit their own Android N names. Top picks would be Android Nutella or Android Neyyappam but it is not 100%. What will Android N offer? It is announced that Android N will have VR platform support which is a good thing for VR users. Faster app installation, upgraded security, changes in the notification area, and increase in productivity and performance is what you will expect. Also, the added split-screen multitasking is to be expected. So what do you think will be the next Android name? If you want to suggest names, too bad for you because Google won’t allow it anymore. Look at the bright side because Google claimed that in a few weeks, Android N’s name will be revealed. With no exact date, fans have speculations that it would be around late June or early July. With that, there is nothing we can do but wait for Google to make their move. Let’s just hope that when N is commercially released(in a few weeks or months), there will be no/few bugs or issues(Imagine opening a can of sweets full of bugs, literally, EEWWW!!! ).